Still working on a few other bugs and the manual. *More starting money. You now start with $40 rather than $10. *Less frequent cop and robbers. Still working on the "can't ride the subway" problem. If anyone experiences it let me know. I'm having trouble recreating it on my end. Manual in the works. There are four sides of town: North, South, East and West. You can walk everywhere or use the subway (it costs money). If you have a beard it means you're not clean cut and look (and smell) like a hobo. In this state you can't get a job, and the cops will arrest you for vagrancy if they catch you. *Hint: there is a secret public restroom someplace where you can clean up for free. You can take Bottles you collect to RECYCLE SALLY for money. Be careful, theres an armed robber who will take any money not deposited in the bank. Anyhow, you can figure most of the other stuff on your own, and I hope will enjoy doing so. 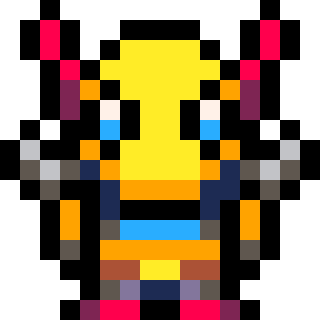 This is my first Pico 8 game (my first game for that matter) so it's far from perfect, but I had fun making it and I hope some people will enjoy playing and improving it. Played it for a while, but wasn't able to really get anywhere. Walking is tedious, so I tried to use the subway. I got some money and added money to my metro card, but couldn't figure out how to use it -- I couldn't walk through any of the subway doors? Maybe I'm missing something. @cmounce I think you have to pay for a ticket at the booth for $2 and /then/ pick an entrance. I never had $2 and made it to that location at the same time though, so just guessing. @greentiger: Good job! I like the ideas here and even if it's based on an existing model, they're implemented faithfully which takes skill. Great for a first try for sure. With some tweaking, this will go from an interesting game to a very fun game. First, I'd increase the walking speed. Also, while it might stray from the C64 version, I think adding up/down movement would help flesh this game out a lot. As-is, there is no way to avoid cops or robbers so it feels random. Adding another dimension so that the player can /try/ to avoid obstacles could change that. Thanks to you guys for trying the game out! @cmounce Yeah you need to charge up your Metro card, it's 2 bucks a ride. @enargy Yep, I think I'll probably speed up the walking a bit. Thanks for the input. I'm even considering tweaking it so that you move faster if you have more food/rest. The way you avoid the cop and robber is to duck into a door or even the subway counter, they will be gone when you exit back to the street. To make things a bit more clear I'm working on a manual that's going to have a map and hints. Another hint I forgot to mention is that you can hang around the bank till it opens at 9:00, and deposit your first $10 so that it can't get stolen. I'm considering increasing the starting money too. @greentiger I figured out what my issue was: I had somehow lost my metro card. Without the card, I couldn't ride, but I could still spend $2 at the ticket counter. Some extra messaging (e.g., "You can't ride without a card" or "You need to buy a metro card") would have helped me. @cmounce I'll have to look into that, it may be a bug because you should always have a card if you pay for a ride. I'll see why that's not working right, Thanks for the feedback! I also paid for a ride but couldn't use the subway. I tried dodging a cop by going in the news stand, but that didn't help. But it seems great, I also loved Rags to Riches :-) Oh, and there is something with the Blippo's sign showing in wrong place, I think it was because I was arrested a little to the right of Blippo's and then walked towards Blippo's after release from jail. @cybermind Thanks for playing it! And I'm so glad that I'm not the only person who played Rags to Riches in the 80's :) I like the idea of reducing the robber frequency, I'll definitely change that. And I'll be looking into the subway problem ASAP. I had the same Blippo's problem, but couldn't get it to repeat, so it has to be a result of getting arrested nearby, thanks so much for that clue to that one. I'm really excited to get such great feedback so that I can improve the next version. Took me a couple hours to get the hang of it, but i've been working at the mexicali, and saving money in the bank. I tried to rent the Curly Sue, but it would just take my money and not never let me stay after that. In the end, I realized it's cheaper to keep staying at the Lord Jim Motel, but now I'm nervous about renting anywhere else. I've also noticed random bank balance errors. One time, before I figured out the work schedule, I noticed $100 in my account that I certainly didn't deposit. And just now, i deposited 2 days wages (minus lodging, and some food) and my account appears to be $0. I absolutely love this game, hope these bug reports help! @Gzuh Thanks for playing! I'll have to see why you can't stay at the Curly Sue, that's horrible! Random bank balances is horrible too! I'll look into all the bugs ASAP. I appreciate your kind words about the game in spite of the bugs. I'm so happy to see this. I, too, played Rags to Riches in the late eighties (early nineties?) and I remember it very fondly. I don't think I ever got very far in the game until years later when I played it again on emulator. I was planning to just try this out and ended up spending an hour or something at it. I'm definitely going to keep an eye on this one! I feel like starting with $40 is kind of weird, especially since you'll just lose it to a robber if you don't know to wait for the bank to open. Also, I like the idea of working your way up from one dollar and a plastic bottle more than working your way up from $40 (which is quite a lot in the early game). Also, I spent a lot of time trying to make money off the dump and recycle (in Rags to Riches, a friend always called it the "bones to bottles to bucks" scheme), but just couldn't get ten dollars without getting it stolen. There is just too far to walk between those buildings without any doors to duck into or something. I did find one bug (I assume?). After I eventually earned ten dollars (total of $50), I got a fitness membership. I thought this would get rid of my beard, but it didn't, even though it took my money. Do I have to have an apartment or something first? Anyway, great job! Thanks for making this! @Lord_Santa @LRP It does my heart good to know that others enjoyed Rags to Riches as much as I did. It is probably my favorite game for the C64. I still remember buying it at Software Ect. at my local mall back in the 80's for 99 cents in a Value-Ware game pack and being freaking amazed when I first booted it up. It's awesome that you guys played the original and liked it so much too. I don't pretend that my version is nearly as good as the original, and I'm a hack as far as game programing, but man was it ever fun to make. @LRP I'll look into the that fitness bug, yes that's a bug because you're supposed to be able to clean up with a membership. Did you go back in after you got your membership and hit (Z) to workout? Originally I had the starting money set at $10, but that made the game ultra hard even if you did get it in the bank. If I can optimize the code a little more (It's at the size limit) I'd like to add a difficulty option. Anyhow, thanks so much for playing the game and giving your feedback. I hope my version leads people back to the original that deserves so much more credit than it ever got.